Configuring RedHat OpenStack to be highly available is not like VMware where you just enable a couple features, check some boxes and voila! Quite the contrary… In fact; configuring RedHat OpenStack to be highly available is quite elegant. Lets look at it like this. You quite a few services that make up OpenStack as a product. Services like Keystone (auth), Neutron (networking), Glance (image storage), Cinder (volume storage) and Nova (compute/scheduler) and MySQL (database). 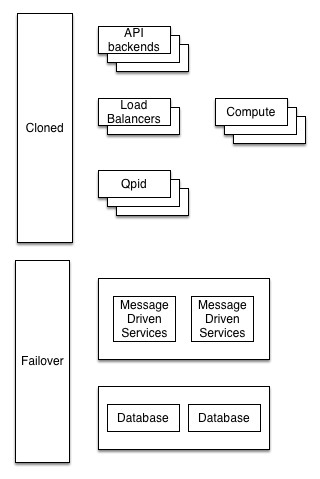 Some of these services are made highly available via failover and some via cloning; aka having multiple copies of the same service distributed throughout the deployment. 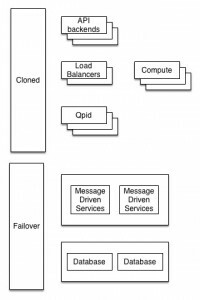 In this case, we need to configure the clone pair of load balancers for to use for our OpenStack services. This will allow us to reference a single Virtual IP that will be load balanced across all cloned service nodes. For this functionality, were going to use haproxy for our load balancing software and pacemaker for clustering. The next step is to then configure pacemaker on each of the nodes to start haproxy accordingly after the resources are configured. pcs cluster setup --name lb-cluster "oslb1.domain.net oslb2.domain.net"
You should now have haproxy running as a clustered service servicing a Virtual IP address for your OpenStack Services.